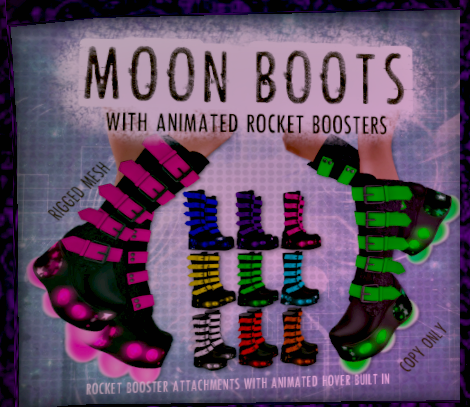 A Modge Podge of my SecondLife Experience. I am going to break away from the norm and just share a happy occasion. On March 7th I was able to be a part of a wedding. 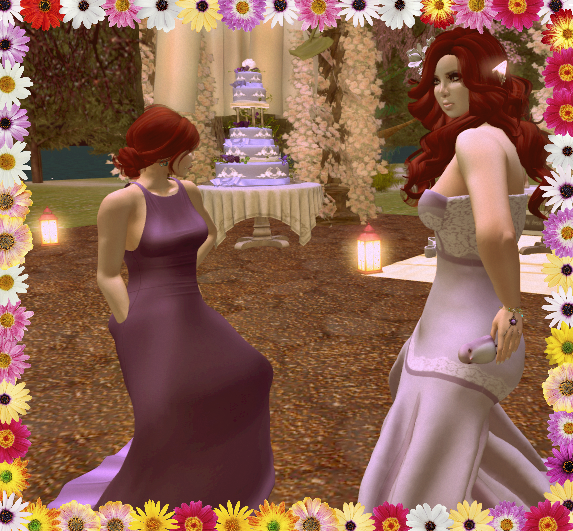 My Second Life daughter "took the plunge" and was married at 7pm SLT. As with all weddings it was filled with calamity and chaos. I find that to be the very best part of any wedding. I feel that if you have a perfect wedding in any life, your marriage will certainly fail. If you can pantomime a lifetimes worth of heart-attack into one very special day, then you have essentially nailed down the entire marriage. Because!! as we all know...Love is Blind, but Marriage is a REAL Eye-Opener. 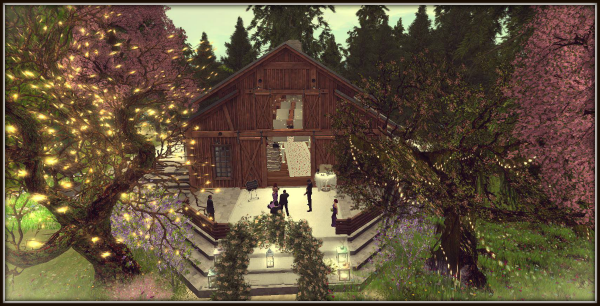 The Venue was planned by myself, in collaboration with Julianna Ireto (the bride) and a dear friend Cal Prefect. The venue developed into exactly what we all envisioned...an Eden. We had the very best time. In this beautiful garden. 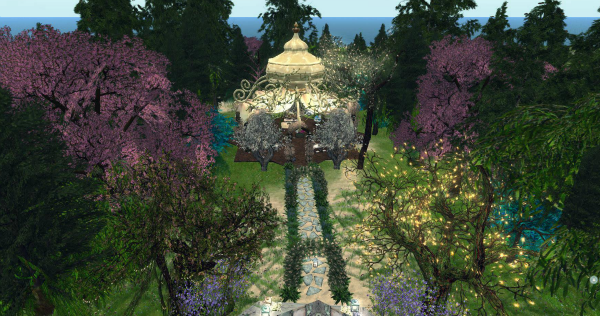 I love this Wedding Barn from Trompe Loeil. I dont have a style card for the bride, but if you see something here you "just have to have!!" 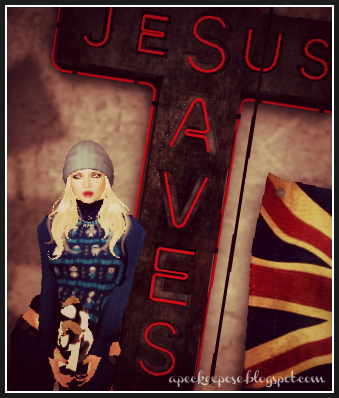 IM me in SecondLife or on FB. I am always happy to help a reader. Cutting the cake....seriously...how cute is this!!!!? Thanks for letting me banter on and on!! lt has been ages since my last post. You know how that goes, we all get distracted on grid. 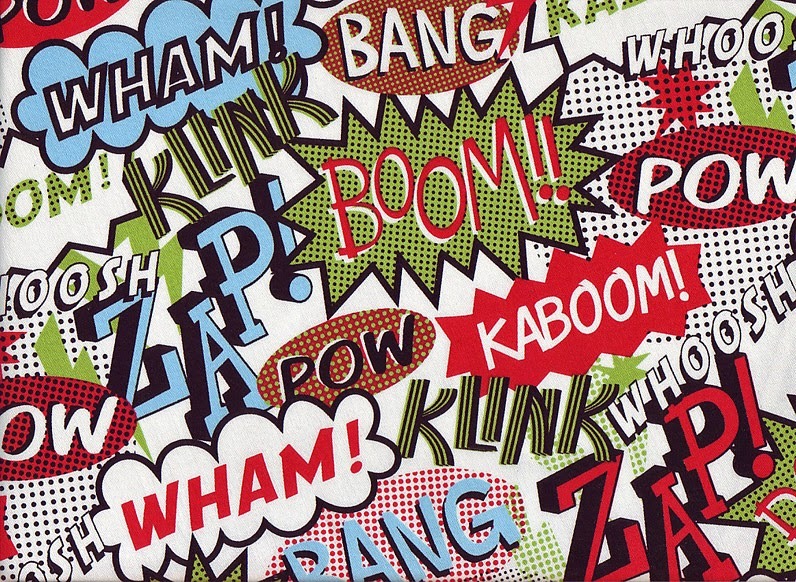 l am so excited to tell you about a new venture from an age old friend of mine. currently Nerdology ls located at "the Artist Shed" and "Top Shelf" events. You can also locate Nerdology at this month's TOP SHELF event. You wll see below a couple of the ltems available. l have this Hover Bike and lt ls amazing! l will be blogging that with other ltems from Nerdology. This blogger is so excited!!! l finally broke down and went with a mesh set of *X*Plosion Boinka chesticles!! They look so real on grid but in this photo its obvious where the lines are...but hey!!! Thats ok! We have to show the real deal, right? Have you been to the new Collabor88 to get the newest Magika release yet? This one is called Harmony. Not sure about you, but the minute l saw it, l knew l needed harmony in my sl. LOL!!! I've been so busy lately, that finding the time to post has been difficult. Over the next few days, l intend to show you some of the pictures l have shot most recently. Until a few weeks ago, l had never really encountered an SL child. As a very foreign concept, l simply avoided that which l did not understand. Well let me be the first to say, that SL kids are incredibly fun! This one in particular. She leaves me laughing behind the keyboard! Sammy is made up of all the fun things in second life...giggles, typos, bows, flowers, jellybeans, cookies...you name it! She has this uncanny ability to grab your heart because she is so adorable. Very recently l crawled out from under my rock and learned about a term that is not only bothersome, it just flat out stinks!! lt is my hope that some of you never knew this until reading this. However, l am almost certain that to the majority of you this is not something new. And what better platform to vet a shenanigan like Catfishing? 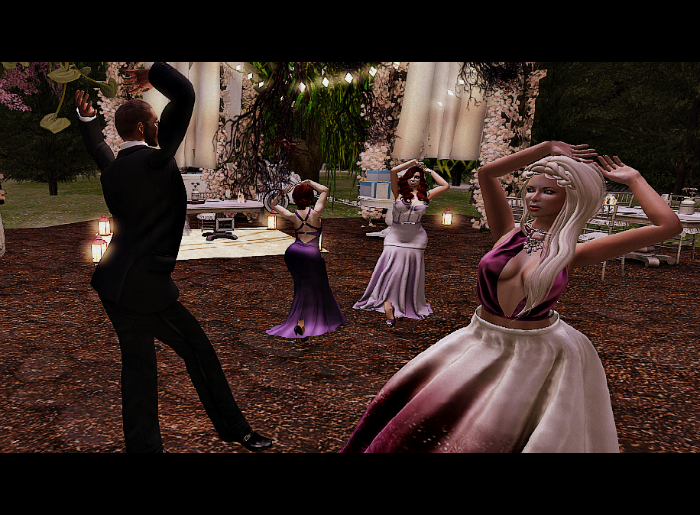 Welcome to Second Life!!! But here's the thing: it's not just teens...it's adults as well. On some level Second Life is just walking a tight-rope on the line. 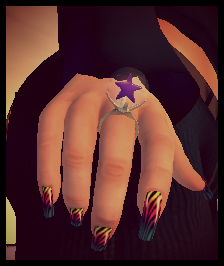 l'm not here to tell you how to run your Second Life, but look at it from both sides and make sure that you are not the one Catfishing or being Catfished. There are serious legalities involved with being on the wrong end of this. Some involve high fines and criminal charges. l play my SL with integrity and l try to keep it as real as possible without jeapordizing my actual life. lf you feel like you're being played for a fool, you probably are. My advice is THROW lT BACK!! 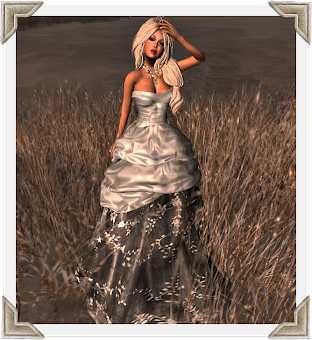 I wanted to show you the newest release from SeVered GarDeN for the Stalkerazzi Fashion Affair Event. This outfit, as with most outfits from SeVered, are complete with shoes and accessories. My love for Severed items is untouched by other designers. I want to zoom in and show you the remarkable detail in this jacket and the boots. You didn't have a chance to attend the event? Don't worry. Severed will be releasing this soon enough at their store in-world SeVereD GarDeN . So just grap another cup of coffee and wait for it!!! Everything worth having is worth waiting for!